MacBook Air Hinge Defect Not Covered by Apple's Warranty? In an unheralded spec enhancement coinciding with the formal release of new iMacs, Mac minis, and Mac Pros on Tuesday, Apple also quietly speed-bumped the high-end 15" MacBook Pro from 2.53 GHz to 2.66 GHz, bringing it more into performance conformity with its 17" stablemate, plus a new $300 build-to-order option that will take you up to 2.93 GHz from the previous optional high-end 2.8 GHz. The $1,999 entry level 15-inch MacBook Pro remains at 2.4 GHz with no upgrade available other than opting for the more expensive model, whose sticker remains at $2,499. Also new is availability of the 256 GB SSD previously available only with the 17-inch MacBook Pro on both the 13-inch unibody MacBook models and 15" MacBook Pros - somewhat confusingly at varying BTO prices depending on the computer model - $900 with the 2.0 GHz unibody MacBook, $825 for the 2.4 GHz unibody MacBook, $750 for the 2.66 GHz (and 2.93 GHz) 15-inch MacBook Pro, and $750 for the 17-inch MacBook Pro. "In past MacBook Pro models, Apple was given a batch of faulty GeForce graphics processors that caused the displays to randomly shut off. While the current laptops do not appear to suffer this problem, several users have reported what appears to be GPU overheating, as well as some instances of persistent graphical artifacts...."
"Our rocky history with the MacBook Air Rev. A has been well documented, and while Apple would very much like us to forget all about it and plop down another $1,800 for the much-improved Rev. B, not everybody has that sort of birthday money to throw around. Reports of cracked hinges on the laptop are nothing new, but we always assumed Apple would eventually 'fess up to the problem and comp those repairs. Sadly, that doesn't seem to be the case, and we just got another report of a hapless MacBook Air owner who has a broken hinge that Apple says will cost $800 to repair, despite the fact the laptop is under warranty...."
Link: MacBook Air Hinge Defect Not Covered by Apple's Warranty? "Staff at a London-based marketing firm had a lucky escape recently, when one worker's Apple laptop caused some serious issues for the IT department. "The machine - thought to be a PowerBook, according to a report by the Inquirer - caught the attention of nearby workers when it began billowing smoke. "By the time the IT guy arrived much of the machine's smoke had dissipated. But it was only after he'd given the laptop a once-over and put it back down onto the desk that 'it basically exploded', sending flames and sparks shooting six feet into the air...."
"My brother-in-law Ken IM'd me the other day with this message: "Did you see they're loading OS X on Netbooks?" He sent me a link to a Gizmodo article that explained how to hack a Netbook into running Apple's OS X. He also pointed me to a chart that BoingBoing put together showing how compatible various Netbooks are with OS X. "Obviously, none of this stuff is geared to the average consumer - and there are certainly some bugs to contend with - but with some tweaks, techies have gotten certain Netbooks to run OS X shockingly well. Perfect or not, those articles and some videos had my brother-in-law, who's a total Applehead, champing at the bit to get his hands on an Apple Netbook...."
"The history of Apple's AirPort Wi-Fi products is one of fits and starts. The company tends to introduce equipment that's more advanced than anything offered by any of its competitors, then coast for months or even years without refreshing the line, reaping high margins compared to similar, more advanced devices. "Tuesday's refresh of the AirPort Extreme Base Station and Time Capsule backup device follows that pattern, as some changes were welcome and overdue, while others push Apple out again ahead of most other products on the market - certainly far ahead for Mac users. "Two bands are better than one...."
"The Apple MacBook Pro 17-inch (Unibody)... is still the lightest and the prettiest media center laptop to house a maximum-resolution screen, and the changes are significant. "You probably would assume that the MacBook Pro 17-inch (Unibody) is simply a bigger version of the 15-inch MacBook Pro, but leave it to Apple to throw us yet another curveball...."
Be sure to read the full (very thorough and detailed) review. "Apple will tell you that the MBP17 is the thinnest, lightest 17-inch notebook in the world. We'll tell you that for a monster of a laptop, it manages to not be too monstrous. The 17-inch (1920x1200) screen is a sharp, contrasty and colorful panorama, but it's the little touches that make the MBP17 manageable: The system's near-silent operation (using a 256 GB SSD instead of a hard drive) is almost unnerving. Its underside gets warm, but never hot. And the unibody design makes particularly good sense in this larger size, as the wide chassis does not flex to your grip as you might expect." "This article provides a sneak peek at the laptop's Speedmark performance. Compared to the 17-inch MacBook Pro released in October 2008, the changes in the processor, hard drive and RAM are subtle - and so are the performance differences." This update improves the ability of MacBook batteries to maintain a charge when the system is shut down and not used for an extended period of time. Follow these steps to determine if your battery needs this update. Click More Info to start the System Profiler. Locate the Hardware section and select Power. Note: If the Pack Lot Code is 0003, the update is not necessary or has already been applied. Download the update. A disk image named "Battery Update 1.4" will appear on your Desktop. Double-click the BatteryUpdate1.4.pkg to start the installation, then follow the onscreen instructions. The firmware update will activate when you restart your MacBook. The updater will check the battery and update it if necessary. You can update more than one battery by shutting down or sleeping your MacBook, replacing the battery with another, and starting up your computer or waking it from sleep. If the battery you inserted is eligible for the update, it will update when you restart or wake the computer from sleep. "Netbooks are a hot product these days. Or are they? "The shipment numbers for the low-cost, Internet-connected mini-notebook computers are impressive, but the sales figures in some respects have yet to back up the hype, according to market researcher IDC. "If Apple isn't careful, Kay warns, it could be left without a competitive offering as netbooks continue to become more mainstream." "Intel will soon release two new ultra-low voltage (ULV) processors designed for ultra-thin notebooks. "According to DigiTimes, the company will unveil the 1.6 GHz Core 2 Duo SU9600 and the 1.4 GHz Core 2 Solo SU3500 next month. Prices will be $289 (£202) and $262 (£183), respectively, in 1000-unit quantities, the Taiwanese pub said...."
"Psion Teklogix has filed a counterclaim against Intel in response to the chip giant's attempt to get its Netbook trademark nixed in the US. "The complaint - filed, like Intel's, with the US District Court for Northern California - wants Intel brought to book for allegedly infringing said trademark." "If you are looking for the most performance in a mobile form factor, then it doesn't get much better than Eurocom's new Phantom-i7 notebook. The workstation will be come with a Core i7 Extreme processor and an as-of-yet unannounced Core i7-based Xeon X5580 processor. The machine will have up to 12 GB of memory at first, and up to 24 GB later this year as well as up to four hard drives. Given the weight and capabilities of the notebook, the promised battery time of 60 minutes isn't bad. "...The Phantom-i7, which is positioned above Eurocom's current Phantom-X series, is not a notebook you would pick up at Best Buy and do your taxes with. It is designed to be a mobile workstation and/or server for engineers on the road, and is a device which offers the highest computing performance possible...."
PR: TechRestore, Inc. has announced that they have begun offering the only Matte Finish screen replacement service for 13" MacBook Unibody systems. The new service offers an option for owners of the new Aluminum 13" MacBook systems, that for personal or professional reasons, do not wish to use the high-gloss, shiny screen and glass that is factory installed. The Overnight MacBook 13" Unibody Matte Finish Screen Replacement Service has a 24-hour turnaround time and flat-rate pricing of $199 that includes installation of a new replacement LCD screen, free return shipping and a 1-year warranty on parts and labor. Unlike simple anti-glare covers, which can distort images and skew colors, the TechRestore upgrade involves removing the glossy, glass screen cover and replacing the glossy LCD with a matte-finish screen that has the exact same specifications as the original; same resolution, same color depth, same LED backlight. We install a custom black bezel around the edge of the screen that matches the finish of the MacBook and looks great. The bezel has all the required holes in it for the iSight and microphone that sit at the top of the MacBook screen housing. Glare comparison: 15" MacBook Pro with matte (left) and glossy (right) displays. "We were thrilled to win a Best of Show award during Macworld Expo for our MacBook Pro Matte finish screen replacement", said Shannon Jean, Founder and President of TechRestore. 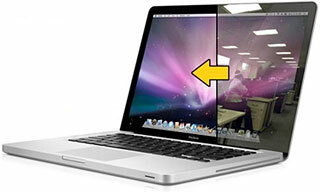 "Adding the 13" MacBook Matte finish screen replacement service has been requested by many of our customers." Previewed at Macworld Expo 2009, the TechRestore Overnight MacBook Pro 15" Unibody Matte Finish Screen Replacement Service won the Ziff-Davis (ZD Net) Best of Show award and received high praise by numerous publications, including Macworld magazine that stated "This is, quite honestly, the machine I feel Apple should have launched as the new Unibody MacBook Pro. The engineering of the new bezel (in a nice matte black finish) is perfect; it looks just as good as the one on the stock MacBook Pro machine sitting next to it in TechRestore's booth." The service is available immediately, with over 2000 convenient local drop-off locations throughout the country. Interested parties can learn more by visiting TechRestore.com or by calling 1-888-572-7372. What does the screen replacement include? In order to replace the super-shiny screen with a traditional matte (anti-glare) screen, we remove the glass screen cover (you know, that mirror-like glass you have been seeing your reflection in), then we remove the glossy LCD (LED backlight) screen. We then replace the glossy screen with a matte-finish screen that has the exact same specifications as the original; same resolution, same color depth, same LED backlight . . . you get the idea. We install a custom black bezel around the edge of the screen that matches the finish of the MacBook and looks great. The bezel has all the required holes in it for the iSight and other items that sit at the top of the MacBook screen housing. Are you just putting an anti-glare screen cover on the screen? No. Our beta testers on this service have told us they do not like the anti-glare covers since they tend to distort images and make color matching very difficult. We will be replacing your entire LCD panel. The screen replacement is completed within 24-hours (M-F) of receipt to us. We provide a 1-year warranty on your new screen. Our technicians have performed tens of thousands of repairs on in-warranty laptops since 1994 and we have never had a warranty declined by the manufacturer due to our service. Of course, the manufacturer will not cover any parts we install on your laptop, we take care of that for you. In the unlikely event that you have a problem getting warranty service on your laptop after we perform any repair or upgrade, simply give us a call so we can provide you with assistance. We are here to help. Can I keep my old, glossy screen? Now, why would you want that shiny screen if you're replacing it with a matte screen? :-) Seriously though, the low price of the Matte Finish Upgrade requires a trade-in of your existing screen. PR: TechRestore, Inc. continues support for G3 & G4 PowerBook and iBook systems with a new 320 GB overnight drive upgrade service that includes data transfer and free shipping. PowerBook and iBook owners rejoice. The storage ceiling has just been raised to 320 Gigabytes. TechRestore's high-speed overnight hard drive upgrade service is completed within 24-hours and includes installation of the new drive into the users laptop, data transfer from the old hard drive onto the new drive and free return shipping. An exact clone of the users data is transferred to the new drive ready for immediate use when their Mac is returned to them. Clients also have the option of having their old hard drive installed into an external enclosure for an additional $39, which works great with the revolutionary new Time Machine backup feature in Mac OS X 10.5 Leopard. Nationwide door-to-door pickup service is available for the upgrade as well as local pickup from one of over 2000 TechRestore local pickup centers throughout the United States. Upgrades are available immediately for $249. PR: MacService has announced SSD upgrades for the MacBook and MacBook Pro. You can now upgrade the hard drive on your MacBook to a new 120 GB or 250 GB Solid State Drive (SSD) starting at $499. Unlike traditional hard drives, SSD drives have no moving parts. They provide faster boot times, quieter operation and increased app performance. These drives come with a mini-USB port that makes future external connectivity easy. All prices include free roundtrip shipping, installation, data transfer and a laptop shipping container. Your old drive is returned to you to be used as a backup or secondary drive. These SDD drives are brand new and come with a lifetime warranty. MacService sends a custom laptop shipping container to you. Once it arrives, simply pack your laptop and send it back using the prepaid UPS shipping label. Once your laptop is back at MacService, a certified technician installs the new SSD drive and transfers your data. A Service Advisor will keep you informed every step of the way. After the service is complete, your laptop is cleaned, tested and sent back to you along with your old drive. All services are completed within 24 hours of arrival. PR: Other World Computing (OWC) has announced two instant rebates, on the purchase of an Axiotron Modbook, the world's only Mac-based tablet computer that lets users draw and write directly on the screen, and Modservice(tm), a service that converts an existing Intel Core Duo based MacBook computer into a Modbook. With the $100 instant rebate applied, the Modbook 13.3" model is priced at $2,139.00 and the Modservice $150 instant rebate reduces the conversion service cost to $1,149.00. OWC is the exclusive US-based distributor of the Axiotron Modbook, as well as being an Axiotron Authorized System Manufacturer (AASM), and fully certified to convert existing MacBooks into full-featured Modbooks with all of the same functionality that has earned Modbook numerous awards and accolades. The Axiotron Modbook solution, starting from $2139 (including instant rebate), is available equipped with up to a Core 2 Duo 2.4 GHz processor, Intel X3100 or Nvidia 9400M video chipset, up to 6 GB of memory, up to 750 GB of internal hard drive capacity, and a 8X Dual-Layer SuperDrive. For those who already own an Apple MacBook "White" or "Black" Core Duo or Core 2 Duo Model, for $1149 (including instant rebate), OWC provides Modservice which converts the existing MacBook into a full-fledged Modbook solution. Included in the Modservice price from OWC is a protective shipping box for the MacBook and both pickup and return delivery services via Federal Express. In addition to the tablet conversion, OWC customers can further choose to upgrade their solution with options of up to 6 GB of memory starting from $39, faster and higher capacity hard drives up to 500 GB from $65, and faster DVD and CD burning with an 8X Dual-Layer SuperDrive. Data transfer options are also offered so customer data can be backed-up and reloaded after the Modbook conversion is completed. Both the new Modbook and Modservice offerings are backed by a One Year Warranty, which can be optionally extended to a full 3-Year Warranty for an additional $349.00. The Extended Warranty covers the original MacBook components; any customer-selected upgrades installed by OWC at the time of modification, and the tablet components. Because of the unique status of the Modbook being the only Mac-based tablet computer available and the proprietary process of Modservice, detailed production information wasn't available to the general public until OWC recently declassified assembly video footage taken in its engineering labs. PR: Most Mac systems no longer are equipped with FireWire 400 ports, but Sonnet's FireWire 400-to-800 adapter makes it easy to connect your existing FireWire 400 peripherals to the latest computers with FireWire 800 ports. No FireWire 400 Port on Your Computer? Sonnet's FireWire 400-to-800 adapter makes it easy to connect your FireWire 400 (1394a) peripherals to the latest Mac Pro, MacBook Pro, Mac mini, iMac, or any other computer with FireWire 800 (1394b) ports, without the trouble of purchasing yet another cable. Which cable to get? What length? Why bother - use your existing FireWire 400 cables with this simple adapter from Sonnet to connect devices to a FireWire 800 port. Just plug it in between a FireWire 800 port and a standard FireWire 400 cable's 6-pin male connector (the other end of the cable plugs into your FireWire device). It can't get any simpler. Sonnet's FireWire 400-to-800 adapter features a 9-pin male connector that plugs into your computer's FireWire 800 port. The other end of the adapter features a 6-pin female FireWire connector that any standard 6-pin male FireWire 400 cable can plug into. 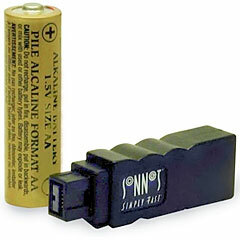 Fully IEEE 1394 compliant, this adapter allows you to avoid the hassles of new cables and computer upgrades. FireWire 400 to 800 Adapter sells for $14.95. 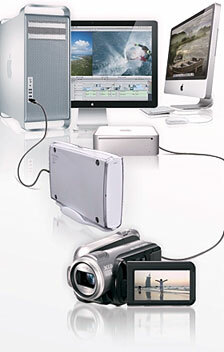 The Sonnet product isn't your only potential FireWire 400 restoration solution. WiebeTech sells a 3' FireWire Cable 9-pin to 6-pin (FW 800-400) cable for $11. MonoPrice.com has a selection of FireWire 400 to 800 adapter cables priced even cheaper than that. PR: If you own two computers with separate screens you can use ScreenRecycler. Even your laptop can be used as second screen for your main machine. Recycle your old iMac, PowerBook or even Windows PC. Use any machine as additional monitor on your Mac ! Full slate of refurb Unibodies this week, save for the 17incher.